1) Cook Linguini according to instructions. 2) Heat large saucepan on medium heat. 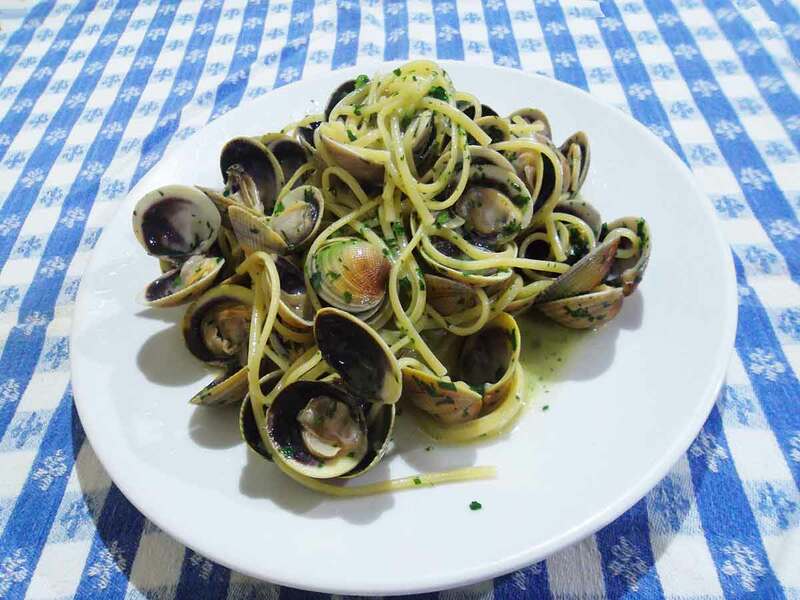 3) Add Extra Virgin Olive Oil, Garlic Slices and Clams to pan and cook for 2-3 minutes. 4) Remove from heat, add White Wine, then return to heat and cook until Clams open. 5) Add Clam Juice directly to pan. 6) Add al dente Linguini, Parsley and remaining Extra Virgin Olive Oil to pan and toss. 1) Cook Pacherri according to directions. pan and cook 1-2 minutes or until Tomatoes start to melt down. 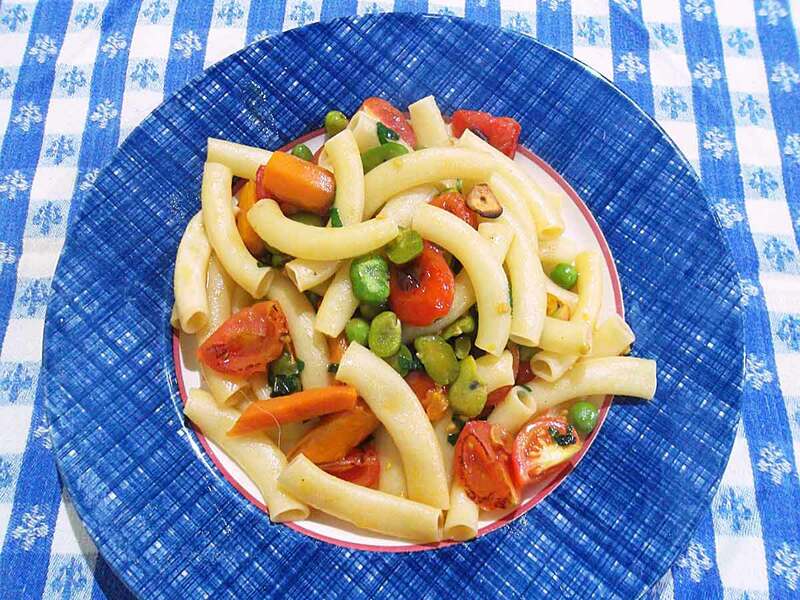 4) Add Fava Beans, English Peas, Baby Carrots and sautee. 5) Add 1 tbs. of Pasta Water or Vegetable Stock at a time, as needed. 6) Add cooked Paccheri and 2 tbs. Extra Virgin Olive Oil to pan and toss. 7) Transfer everything to a plate and scatter chiffonade Mint to finish.